VIPcheck™ is an CE approved easy-to-use assay, that enables rapid and reliable detection of all types of azole resistance in Aspergillus fumigatus culture. Extensive validation shows excellent test characteristics: sensitivity of 97% and specificity of 98%, even when performed by technicians not trained in mycology. VIPcheck™ can be used in every clinical microbiology laboratory and helps to determine which isolates need full in vitro susceptibility testing. Aspergillus fumigatus causes a range of diseases in humans including allergic syndromes but also acute invasive aspergillosis in immunocompromised patients. For the management of diseases we rely on azole drugs, including itraconazole, voriconazole and posaconazole. These agents are effective if the isolate is susceptible to the azole class of drugs. VIPCheck™ is manufactured by Mediaproducts BV. A company that provides screening plates for numerous institutes all over the world. Our mission is to advance the diagnosis of fungal diseases by development of diagnostic tests, expert advice and on-the-job training in order to improve outcome of for patients with fungal discases. We are a team of academic professionals who have specialized in the diagnosis and management of fungal diseases. We recognize that the microbiological diagnosis of (invasive) fungal diseases is usually very difficult and that patients receive therapy without knowing which fungus is causing the disease. With the emergence of resistance to antifungal drugs the need to identify the pathogen and determine the susceptibility to the drug has become more important. We have gained expertise in managing fungal diseases and aim to make this expertise available to share with our colleges. VIPcheck™ is manufactured by Mediaproducts BV. This company develops and produces media for laboratories in Europe, for example for hospitals and RIVM in the Netherlands and the WHO reference laboratory Hellenic Pasteur Institute in Greece. At the moment, they supply about 70% of the medical microbiological laboratories in the Netherlands and a large number of laboratories in Europe and even the world. Mediaproducts BV can produce any kind of media the customer needs. Guaranteed best quality, flexibility, fast delivery and the best service are our key words. The VIPcheck™ method consists of a 4-wells plate, which contains agar supplemented with 3 medical azoles (Voriconazole, Itraconazole and Posaconazole, VIP) and a growth control. The assay is rapid, requires no specific technical skills, and detects all azole resistance mechanisms, and therefore can be used in every microbiology laboratory. VIPcheck™ results can be reliably read after one day if growth of Aspergillus fumigatus is visible, and in all isolates after 2 days of incubation at 35-37°C. Multiple Aspergillus fumigatus colonies from a patients culture can be tested using a single VIPcheck™-plate, and if a mixed azole-susceptible and azole-resistant colonies are present, the azole-resistant colonies will grow. We recommend to determine the in vitro susceptibility (MIC) for all colonies that grow on any of the agars that contain an azole. 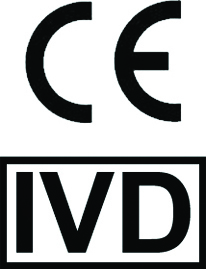 VIPCheck™ is CE approved and is manufactured by Mediaproducts BV. We recently added two news instruction videos to our website about processing and analizing the VIPcheck™ screening plates. We are happy to announce that VIPcheck™ found a new manufacturer in Mediaproducts BV, a company that develops en produces CE-marked products. Microscopy remains essential for the diagnosis of fungal diseases and for identification, especially for molds. To assist technicians in recognizing the macroscopic and microscopic morphology we have produced a book that describes the fungi that are most frequently encountered in the clinical microbiology laboratory. The book consists of a number of chapters describing microscopy, Aspergillus and zygomycetes, dermatophytes and common contaminants. Do you want to place an order or do you have a question, please do not hesitate to fill in our contact form.